Reasons You Should Outsource Social Media Marketing To Someone Else | Murphy Designs - Complete Business Solutions! As someone who owns a social media marketing company, I’m supposed to say you should always outsource social media marketing. The problem is I don’t agree. There are many reasons why you should manage your own social. For instance, because no one knows your business better than you, and you know your target market the best! However if you’re not 100% committed, you could be wasting a lot of time and money on your social media efforts. We’ve compiled 10 signs that point to YES when asking yourself if you should outsource social media marketing to someone else, plus the warning signs of DIY social that’s in trouble. We will post when we have time. We’ll let so-and-so have two or three hours a week to dedicate to our social OR we’ll hire a free intern to take care of our social. Read: We aren’t taking social seriously but will be SO CONFUSED when we don’t get serious results. This usually never works, and leaves your platform untouched. 1) Social media is more than just branding, it’s storytelling. It is developing a relationship with your fans, and followers. More than just selling your product or service. What you say on social will have mere milliseconds to capture the attention of your audience. A logo and a pretty coupon for 20% off just won’t cut it. It is your entire brand that goes into your page and each post should represent who you are, and what you do. A story develops about your brand! 2) Social media is not *always* about sales. As already stated social media is not about SELLING, it’s about communication and relationship building. Developing a fan base and following that loves your brand and interacts with you can lead to sales. Without two-way conversation and action, you will have an uphill battle on your hands with social. No one gets excited about social media posts that always seem self-centered and self promoting. 3) Social media involves real-time marketing and response. Unless you live by your phone or computer many requests will go answered! Having no one else assisting with social media means that you can't take a break from posting while away. People are waiting on you — and they want a response pretty quickly! Facebook even shows how quickly a brand responds to messages received. You need consistent brand messaging, no matter the platform. Your brand persona needs to be tightly defined and tie into your branding and messaging with tone and voice. Who, specifically are you targeting? What, SPECIFICALLY, do you want them to do? 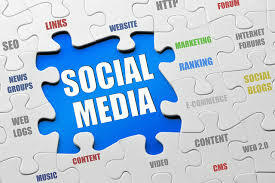 If you can’t answer SPECIFICALLY, outsource social media marketing and let the professionals nail that down for you. What will you post? How often? Remember, you can’t just talk about yourself! A content strategy is critical to continued success; social media professionals are superheroes when it comes to creating content in a publishing calendar. People and resources. Honestly, even our smallest clients have a team of people getting their social set up with something smart to say. Social truly takes a village. What are your thoughts on outsourcing social media marketing to consultants or agencies? Let us know in the comments section below!